Comfort and convenience abound at this updated condominium just minutes to everything. 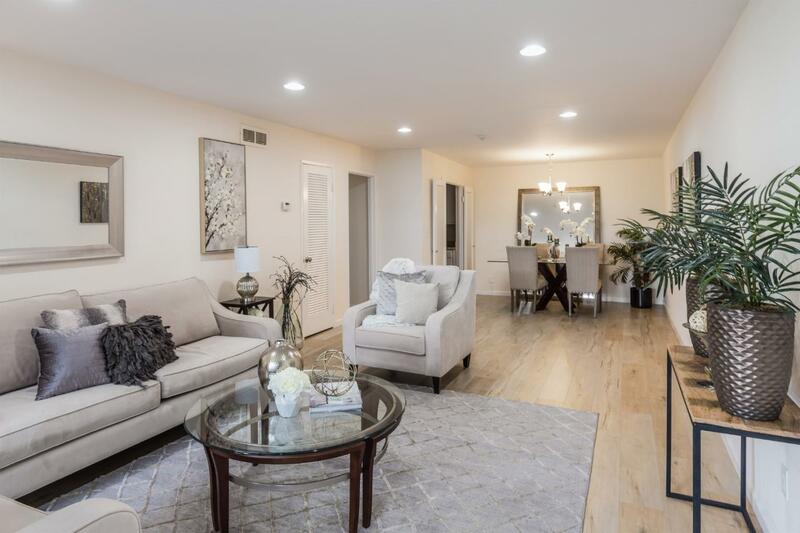 With a desirable ground-floor corner location, the home benefits from plentiful natural light and direct access to a patio on the front courtyard. Engineered wood floors and fresh paint extend throughout making this home ready to move right in and enjoy. The kitchen is bright and inviting along with a large living and dining room combination that offers great space for gatherings. This home also has secure underground parking for two cars, dedicated storage, plus a community pool and tennis courts. Located midway between San Antonio Center and Castro Street for vibrant downtown shopping and dining, and local high-tech companies, this home is just right for Silicon Valley living.